Simply Nerdy Mom: Wake Up With A Cookie in Your Cup! Wake Up With A Cookie in Your Cup! One thing about blogging, is that I get a chance to try out some pretty awesome things. For instance, I've had the opportunity to become a Crazy Cups Flavor Ambassador, which means I get to try out different flavors of coffee and let you guys know if they are a hit or a miss. 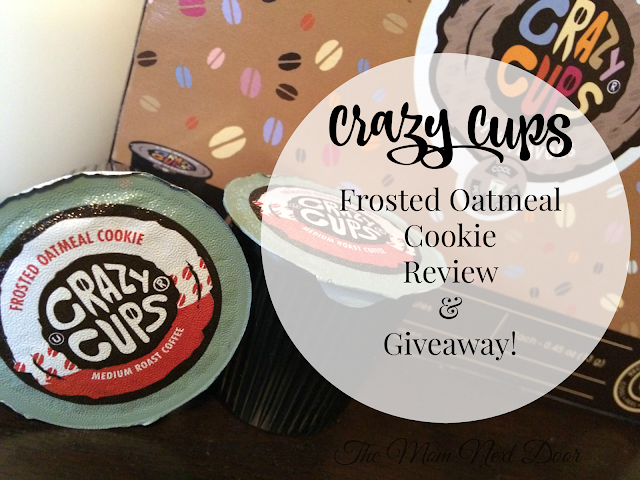 The month of November I get to try out Crazy Cups Frosted Oatmeal Cookie coffee. Oh and it is just as delicious as it sounds! It's funny that I was sent this flavor this month because most mornings, I have an oatmeal cream pie with my coffee. Sadly, I ran out of cookies, but with this coffee, it's like I'm still having my cookie with my very much needed caffeine for the day. 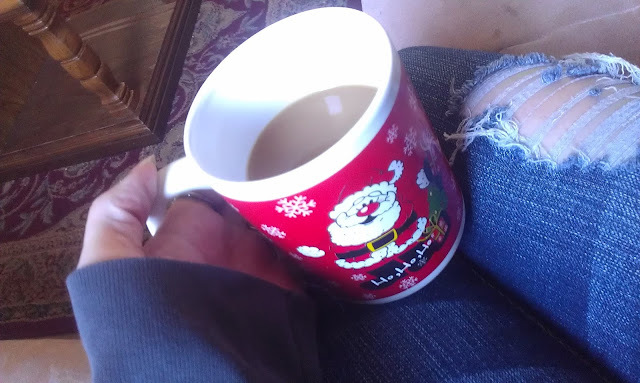 It's like I'm sipping a freshly baked oatmeal cookie with a little vanilla, and a hint of medium roasted coffee. When it brews, it smells amazing! of course, I've come to find that all Crazy Cups flavors not only taste delicious, but smell heavenly when they brew. Maybe I should suggest Crazy Cups brand candles? My personal taste is to add a little sugar and french vanilla creamer, but I did try it black and it was just as good. I still prefer my sugar and creamer, but if you enjoy yours black, you still get that sweet flavor that is just as good as the aroma teases you it is. Everything about this flavor screams winter weather to me. There's just something about curling up with a warm blanket, in front of a window as it snows, sipping on coffee and eating a cookie. Even the scent of Frosted Oatmeal Cookie reminds me of Christmas. The single serve cups contain 13 grams of coffee in recyclable cups that are compatible with all Keurig and Keurig 2.0 brand brewers. The best part is that they are gluten free, nut free, and have no calories! Wait, what?! Cookies and coffee without the calories?! You betcha! Want to win a 22ct. 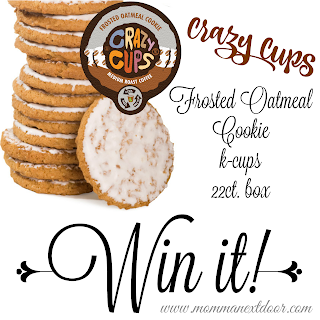 box of Frosted Oatmeal Cookie from Crazy Cups Coffee? Sound too delicious to wait? 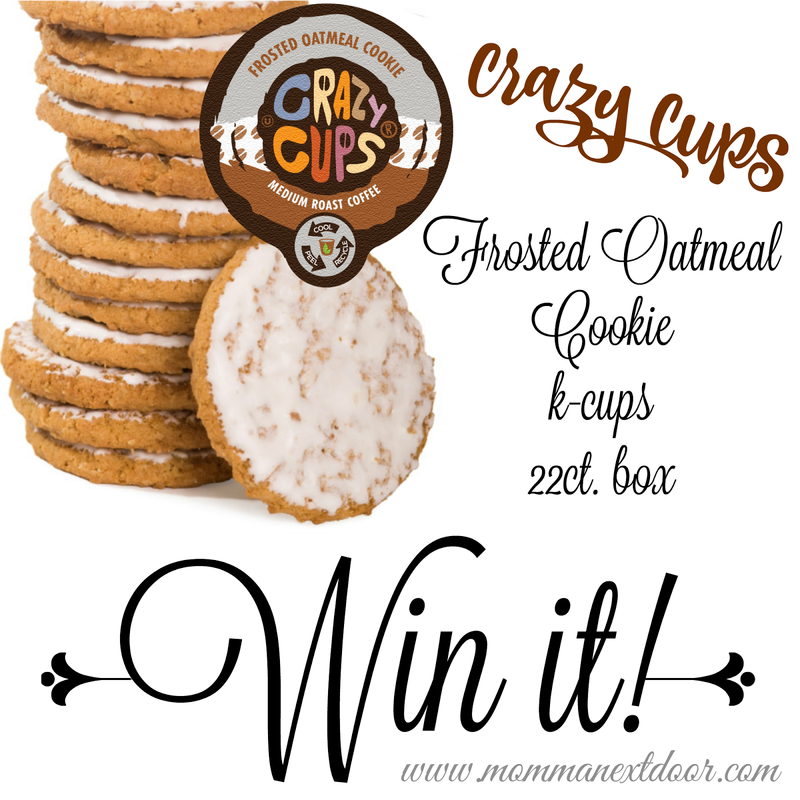 You can order a 4 ct or 22 ct box at crazycups.com and while you're there, check out their variety of coffee flavors as well as hot cocoas and cider! Create and account, and earn rewards for buying coffee!